There are many different techniques that you can use to promote and optimise your radio program. One of the most popular is radio imaging – the use of memorable sounds or audio brands to make your station or program memorable and immediately identifiable. Unfortunately, developing a decent radio imaging strategy can be difficult, especially if you’re not experienced when it comes to putting together new radio content. Most people use an expert, but a few do decide to put their radio imaging segments together on their own. What exactly is meant by radio imaging? Basically, radio imaging is the audio which identifies the program and/or radio station that people are listening to. When used right, radio imaging will encompass the personality of a radio station/program, informing listeners about what sort of music they play and what sort of content they could touch on. Proper radio imaging should be unique, designed especially for you and your station and put together with your audience in mind. It should also be properly targeted, immediately recognisable and professionally produced. If you don’t have the knowledge or the means to get your radio imaging professionally produced, then you need to speak to someone like the team at LFM Audio. You won’t regret it! Getting the most out of your radio imaging efforts isn’t always easy, especially if you don’t really understand what it is or why it’s used. 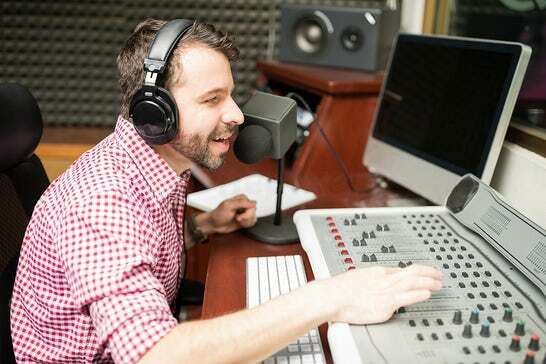 As someone who runs a regular radio show or program, you need to make sure that you’re getting the most out of your radio imaging efforts, otherwise your station may suffer and you may not get the same number of viewers as you expected. Make sure you define your target audience clearly – Failing to have a clearly defined target audience for your radio program is a clear way to fail. If you really want to get the most out of your radio imaging efforts, then you need to make sure that you have a clearly defined target audience that you can tailor your imaging too. Use a professional to create your imaging – Radio imaging needs to be produced with professional sound equipment by a professional radio imager, otherwise it simply won’t be as good as it could be. Make sure that you think carefully about who you want to create your radio imaging for you, otherwise you will probably end up wasting your money. If you’re looking for someone to help you with your radio imaging needs, then the friendly team at LFM Audio is here to help! Get in touch with our friendly team today to find out more about our radio imaging services.